Caveman Home Theaters is a professionally trained team of skilled electronics systems integrators and technicians. We are Control4 certified dealers and have certifications with CEDIA, THX and numerous electronic manufactures. I cannot recommend Joe from Caveman Home Theaters enough! We hired Joe to completely reconfigure our cable and internet (including running CAT-5 wiring in the house, adding a new wireless access point to the house to boost our cable, and rerouting our cable outlet to a new access point). Joe also installed smart locks on our home and hooked up a new outdoor Bluetooth speaker. He was prompt, courteous, and spent a lot of time with us to make sure we were getting exactly what we wanted. He even went out of his way and came out to our house on his off day to meet with Comcast to ensure our cable and internet lines were working properly and at the appropriate speeds. We look forward to working with Joe again! CAVEMAN - I will only call them! Caveman handled the install in my home. They are awesome - super clean, super knowledgeable, and will not over-sell you. Joe knows his stuff and you will enjoy working with him and his crew! Caveman Home Theaters is the place to go if you're looking for a media room in your home. They do an amazing job at designing, installing and choosing the right products. They have the latest and greatest audio video products - can't wait to purchase the 3d projector soon. Thanks guys! Awesome prices and very personable service – Our new Home theater system is top notch We are very pleased with Joe and the crew. I'd use them again! 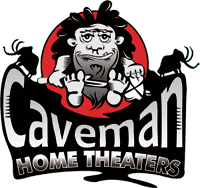 Joe Travis from Caveman Home Theaters has been extremely helpful in setting up and optimizing my home video (TV) and audio system. He also coupled my thermostats with wireless monitoring in collaboration with AC/heating company. Joe is attentive to detail and he worked diligently to make the whole unit in the house function very well. Joe and his team also optimized my broadband/wifi/internet and has helped me sustain the entire system during the past 3 years. I give Joe my highest recommendation. I have had Joe at Caveman create two media rooms for me, one at my old house and one at my current house. Joe came up with creative solutions to address the specific issues my situations presented. He has also provided support and answered my questions after the work was done. If I move again I will hire Caveman to work on any new place I live. I recommend this company. I highly recommend Joe Travis from Caveman Home Theaters for professional home theater design & custom media rooms. Our initial search for high end home theater services was a little difficult because the local search was flooded with providers that only did small jobs such as TV mounting and projector mounting. We were looking to build the ultimate home theater for our family and guests, so sacrificing quality was not an option. Joe was very attentive to our vision, highly knowledgeable and he paid a GREAT attention to detail which was important to us. He also invested a considerable amount of his personal time to ensure we were 100% satisfied. A+++ experience! Joe and his crew are the best. They are on time and the work is done right the first time. As far as I'm concerned I'm a Caveman and will use no one but Joe. He makes home theatre and design simple to use and operate. Joe is my main caveman friend!! I highly recommend Caveman Home Theatres. Joe Travis and his staff did an excellent job. They did a thorough job, were efficient and clean. Joe was very concerned that I was satisfied and called me after the work was done to make sure I was happy. The work has a two year warranty and he offered to come any time and help if I ran into problems. My husband & I built a large house with 30 windows, including oversized glass windows in several rooms. Joe, from Caveman Homes Theaters, covered every window in our home with roman and woven shades, including the home theater room, where we also decided to a have a few windows. We are so pleased with his recommendations, and the personal service was the best! We have used Caveman Home Theaters for both our home and business needs. Joe and the rest of the crew are wonderful. Very professional and always willing to go above and beyond to help! I would recommend them for your home and business needs above anyone else we've ever worked with! Caveman Home Theaters built my home theater room last month. I couldn't be more happier with the quality of work and products Joe and his workers installed. I had been preparing for this project for close to a year and had very high expectations. Joe exceeded my expectations and really wow-ed me and my family with his installers and how quickly and cleaning they completed the job. I can't wait to upgrade next month to the 3D projector! We had a wonderful experience with Caveman Home Theaters. Joe Travis was extremely knowledgeable and accommodating. The level of detail that was dedicated to our project exceeded our expectations. Joe also introduced us to a new line of high end home theater products at a great price. If you get a chance, stop by and check out his home theater room on site and get a glimpse at some of the new 3D technology...it is quite amazing and it will make 3D movies in the theater look 10-years out of date. Amazing experience! A+++ recommended! Great System, Great Price, Great Service after Installation – Joe met with us in our home and listened carefully to our wants and needs. He is a very knowledgeable and a very likeable person. My wife and I are very comfortable with him. We discussed a range of options, my wife and I considered them, and we contacted Joe when we had decided the general parameters of our Home Theater and Sound System. (We met with another contractor in the meantime and readily concluded we would hire Joe.) I had a question about TV selection, which Joe dealt with very well. We are delighted with our LED Samsung. Joe's Denon receiver and speaker recommendations were also spot on. We are not very knowledgeable about technology (to say the least), and Joe was very patient and thorough in teaching us how to use the many features included in this very customized System. We have had a few minor questions since it was installed. Joe has returned our calls promptly and either provided the necessary instructions or come to our home (often the same day) to help us out. The members of his installation and service crew are also very knowledgeable and personable.We got a great custom Home Theater and Sound System at a great price, and the service has been top drawer. Caveman Home Theaters was the first of 4 companies to visit our home. Joe came & spent a great deal of time listening to our wants/needs and then proceeded to discuss the many options of getting to that just right video & audio experience. Joe was friendly, personable and someone that we felt comfortable with right away.After eliminating the competition (which didn't take long) - we finilized the design, price and scheduled the installation. One thing that impressed me was how Joe worked w/ me on the equipment selection and recognized that in the case of TV selection - he didn't push us to buy from him (in this case I found better pricing elsewhere on plasmas).The install took a little over 2 days (we set up 2 systems). His team did a great job - always cleaned up and were very knowledgeable about the equipment.Another good thing...Joe is definitely available after the sale. I've called him w/ questions and minor issues - and he's always helped me out. Three projects, We couldn't be happier! – I have used Caveman Home Theaters on three different projects. And have been very impressed with the outcome on every single task. Their cabinet maker has built some very custom pieces for storage including a wall of bookcases, a large storage cabinet a,d a hall tree for our boys backpacks in the utility.Most recently they completed the installation of our media center / home theater. The room is great the denon system they installed rocks. We now have a 52" Shard 1080p LCD Flatscreen for our Friday night movies. We can't be happier. Caveman Home Theaters provides turn-key services for our clients. Including project design, product specification, custom installation and service after the sale. Our goal is to be your primal resource for everything related to your audio and video systems. Caveman Home Theaters is an award winning, home theater installation and design specialist. Our services range from basic TV and speaker installation, to managed networks, distributed multi room audio and video solutions, and home automation. We are professionally trained and certified Control4 dealers. Control4 offers smart home automation and single room remote control solutions that can be scaled to meet your needs or budget. To better serve you we provide Free in-home consultations and we will schedule an appointment at your convenience. Learn more from our bi-monthly newsletter. Subscribe Now!